The Forum welcomes residents and community groups to our regular public meetings. You can find details of what we have discussed previously on the Meetings Page. If you can’t attend in person, you can still take part in our discussions by emailing us through the enquiries page. The Town Forum is a clearing house for ideas, and is independent from any other organisation. That does not stop us from working with our colleagues in the Council, and many other groups in the town. You can read more about our work by downloading the latest Forum Digest, a quick to read summary of what has been important at our meetings. We were set up in 1995 to regenerate the town, promote it as a great place to live work and visit, and to share a common interest in what matters to us. Most of all, we want to celebrate the good things that the good people of Liskeard do to make life better for everyone. Join us at one of our friendly and informal meetings. You’d be very welcome. If you would like any of our documents in an alternative format or language, please contact 01579 345407. Meetings are held every 6 weeks at the Public Hall in West Street, members of public are encouraged to attend, listen to the discussions, ask questions and join in. 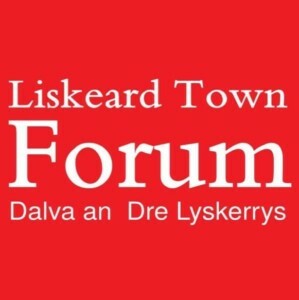 Liskeard – Your Town, Your Choice. Take an interest in the future of your town.